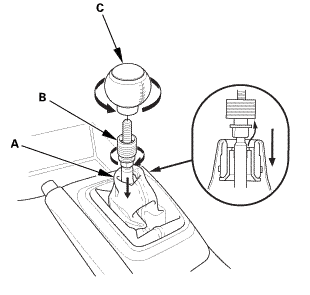 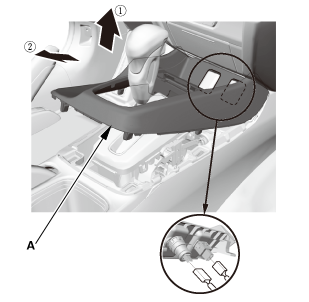 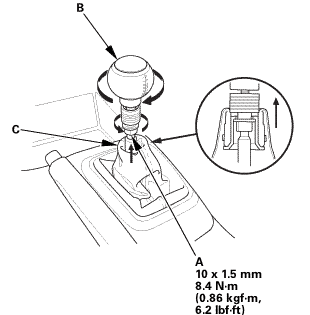 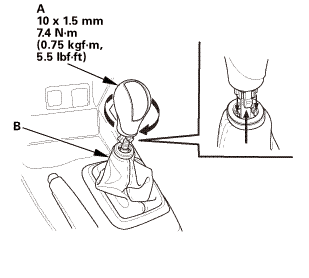 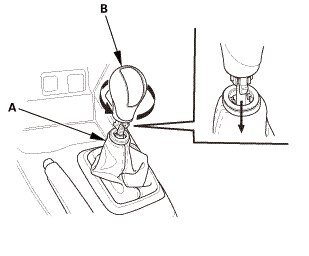 Gently press the tabs (A), and remove the front accessory power socket (B). Gently press the tabs (A), then remove the housing (B) from the cover. 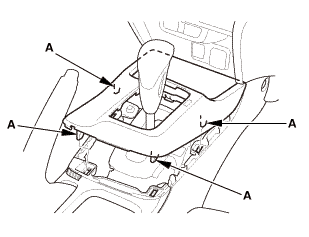 Note the location of the indexing tabs (C). Install the housing (A) in its position on the cover. 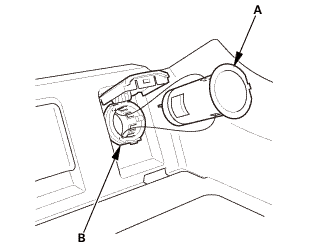 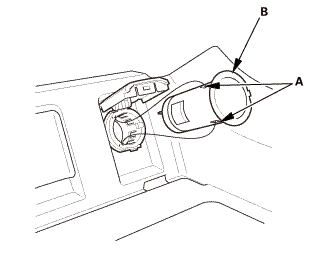 Install the front accessory power socket (A) in the housing (B). 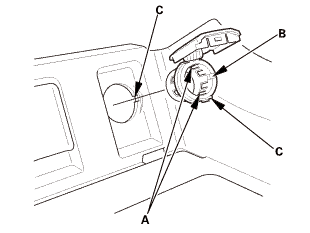 Install the center console panel (A).